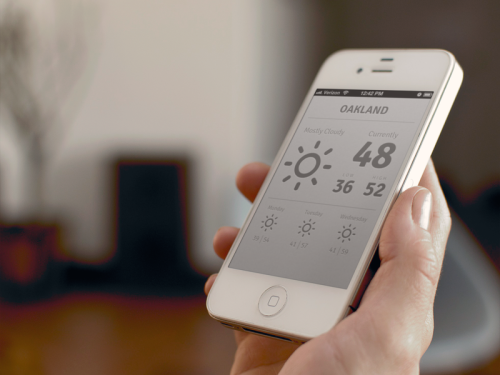 What’s unique about this weather application is the use of ambient display. Based on weather beacons, at a glance you’ll know if it will be warmer, cooler, or similar to what the weather feels like today. It’ll also let you know about any precipitation tomorrow. And you know what’s also awesome? This will look good on your smart phone, tablet, or desktop web browser. Got an iPhone? Load up the site and tilt your phone to the side for an extended forecast. 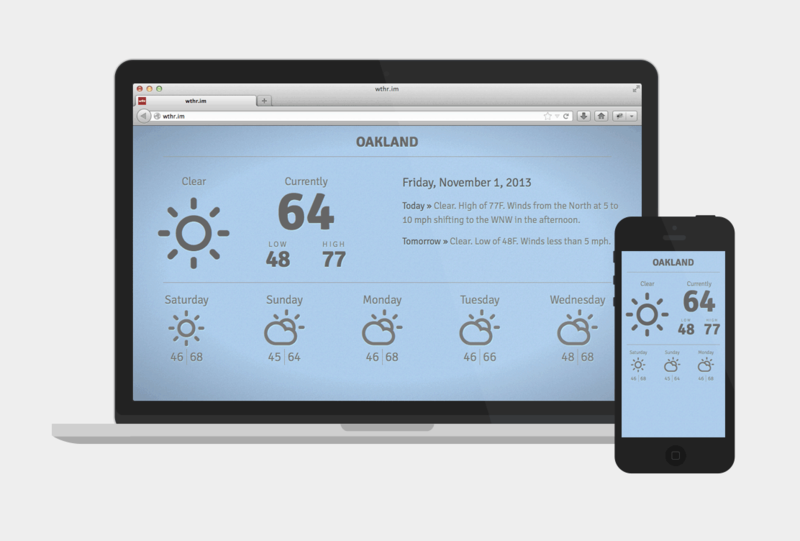 It’s called responsive layout design, which means that you can use this site on any of your devices.